This technology allows us to create a highly accurate full arch digital scan with 3D visual images in just a couple of minutes. The streamlined scanner wand allows for a comfortable patient experience. Uncomfortable impression trays that must remain in the patient’s mouth as the impression material sets are no longer necessary. 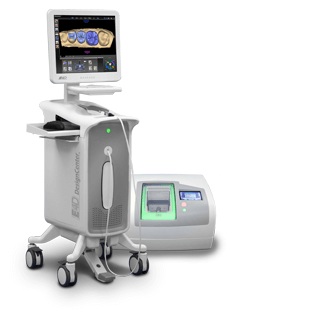 Not only is this new technology faster and more comfortable, it also delivers an extremely high degree of accuracy and facilitates the treatment process from planning to completion. The 3D display also helps patients understand the treatment plan and visualize the results.